Is Dover’s dividend safe? This is a vital question for income investors. Let’s review the business and dividend trends to answer this question. 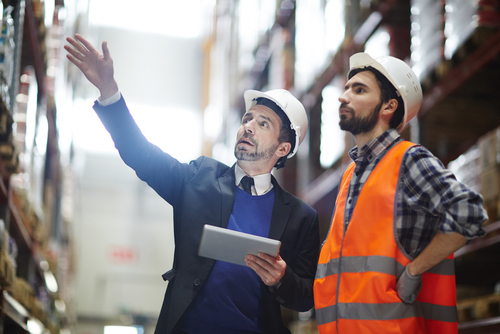 Dover operates out of Downers Grove, Illinois and employs 29,000 people. Last year Dover pulled in $7.8 billion in sales and that breaks down to $270,000 per employee. Investors value the entire company at $12 billion. Dover’s long history of paying dividends makes it one of the best dividend stocks around. The long history also makes the dividend yield an indicator of value. A higher yield is generally better for buyers. Sustainability is also vital, and we’ll look at that soon. Investors have recently bid up the Dover’s stock price and the lower yield is a result. Investors are probably expecting higher dividend growth and payouts. Although, the dividend yield tends to be mean reverting with share price changes. Investors often use the dividend payout ratio to determine dividend safety. They look at the dividend per share divided by the net income per share. So a payout ratio of 85% would mean that for every $1 Dover earns, it pays investors $0.85. 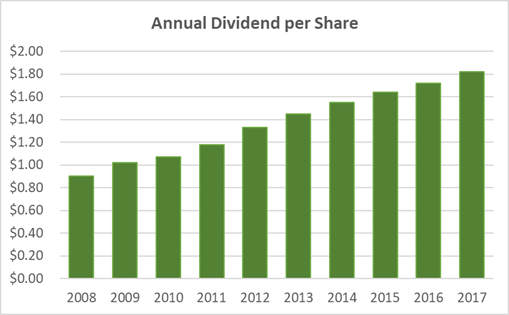 The dividend payout ratio is a good sign of Dover’s dividend safety… but accountants adjust net income numbers. They adjust for goodwill and other non-cash items. A more useful metric is free cash flow. The ratio is steady and the trend is up over the last 10 years. The last reported year shows a payout ratio of 45.3%. There’s room for Dover’s board of directors to raise the dividend. 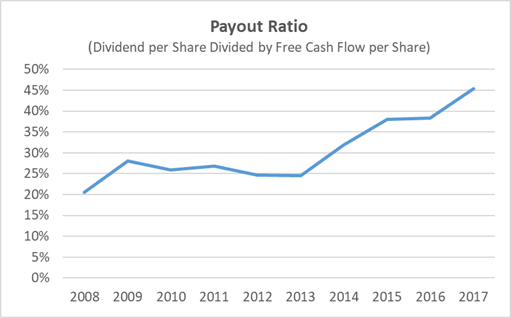 Dover’s dividend is safe for now but the payout ratio trend isn’t looking good. 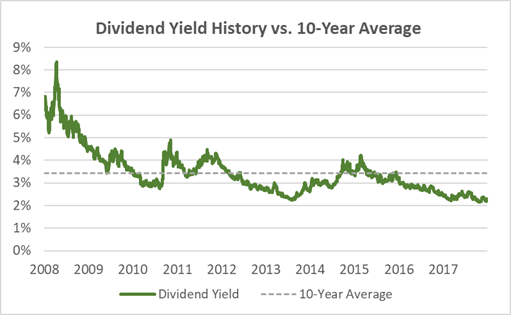 The dividend yield is also a little too low so you might want to shop for better dividend stocks in the current market. Can This 10.4% Dividend Really Be Safe?